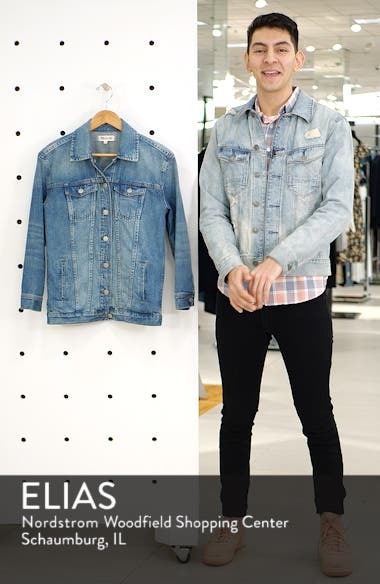 A perfectly weathered denim jacket woven from rigid cotton is cut for a slightly oversized fit that nicely layers over everything in your closet. Choose a sizeTrue to size. XXS=000, XS=00-0, S=2-4, M=6-8, L=10-12, XL=14-16, XXL=18 (16W), 2X=20 (18W), 3X=22-24 (20W-24W).